Dorian Yates’ is a man who needs no introduction. He is a 6 time Mr. Olympia and one of the greatest physiques of all time. Today we steered away from the usual career topics and dove deep into Dorian’s life after bodybuilding. 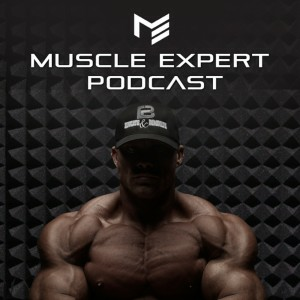 We talk briefly about why he decided it was time to retire and then we dive deep into the spiritual journey that Dorian has had since his bodybuilding days were over. Be sure to check out Dorian’s retreat in Costa Rica once this episode is over. This episode is brought to you by Organifi. Save money and time while still getting all of the micronutrients that you need with Organifi Greens juice. Use code MuscleIntelligence for 20 percent off your order at Organifi.com. 3:30- Life after bodybuilding. How Dorian handled the end of his career and beyond. 21:15- Why Dorian dove into spirituality after retirement. 27:00- Coming down off of the mountain of an extraordinary career. Dorian’s journey through spirituality and depression after his bodybuilding career. 30:45- Why Ben and Dorian have put such an importance on meditation. 33:30- Yogi bodybuilders. The stress and mobility benefits of yoga that Ben and Dorian see for bodybuilders. 40:00- Dorian’s meditation practices and the benefits he sees. 44:30- Dorian’s first ayahuasca experience. 56:00- Dorian’s greatest takeaways on his relationships, lifestyle and outlook on life from his ayahuasca experiences. 1:01:00- Dorian’s experience with other psychedelics. 1:06:00- How to come down from plant teachers.